LMCo Vaughan-Bassett Media Orders old 2 – Laurel Mercantile Co.
We are excited to be partnering with Vaughan-Bassett and each one of their dealers. 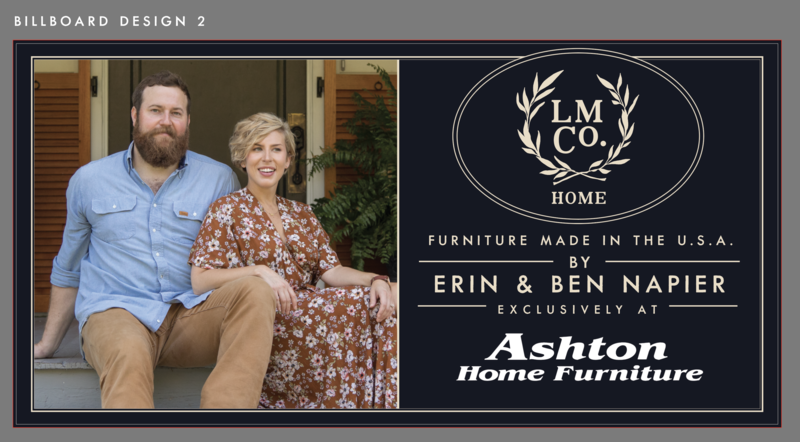 In the download link below, you will find stock photography of Erin and Ben, stock photography of the furniture, social media graphics, pre-made ads and design resources to make your own. We are also providing social media videos below for you to use on your websites and social platforms. We hope to add more to this collection on a regular basis. We also offer the option custom order a LMCo | Vaughan-Bassett Billboard. We can customize the size and ad your companies logo and information to it. 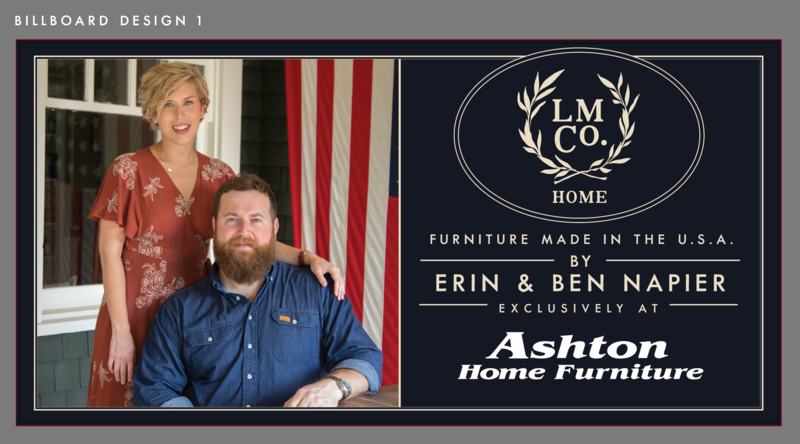 Our Spring 2019 promotion features Ben and Erin Napier discussing their new furniture line and partnership with Vaughan-Bassett. We offer three variations of the ad, each one refined depending on the lines your company carries. Once ordered, the end of the ad will feature your companies logo, physical address and web address. The end of the ad will also feature Ben Napier saying the name of your business. Because of Ben's schedule, we cannot guarantee the delivery date of each ad. We do, however, do our best to deliver it in a timely manner. Each 30 second video is $300. Vaughan Bassett is offering 50% co-op. Your video cost is only $150. You will be billed by Vaughan-Bassett upon completion of ad. If you're having any problems or maybe you're looking for some custom work, we're here to help.